Exquisite pale rose-pink blooms in abundance. 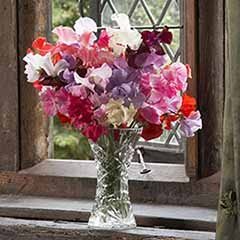 Perfect for porches, archways, pathways or large pots, a real cottage garden classic. 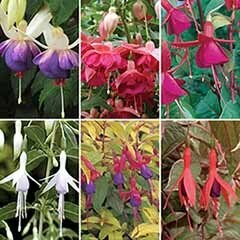 Award-winning plants guaranteed to flower. 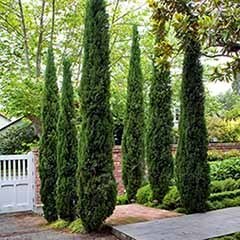 Easy to grow in a sunny spot, great against a sunny south-facing wall. Fragrant rose-pink blossom cascade down from May to June. 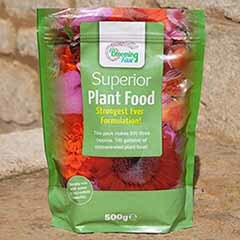 Supplied as a grafted 60-70cm plant in a 2L pot, ready to plant. 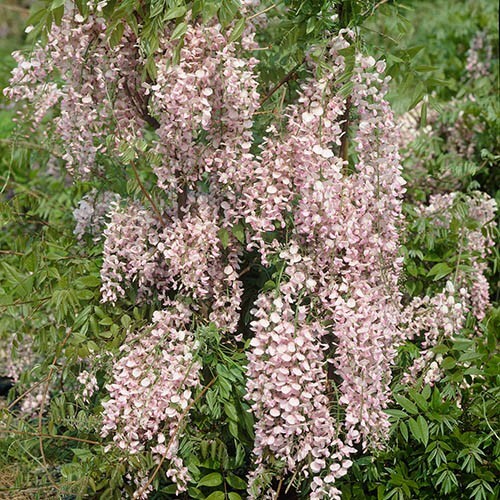 Wisteria floribunda 'Rosea', the pink-flowered Japanese Wisteria, is a magnificent, award-winning climber, dripping with fragrant rose-pink flowers through the summer. 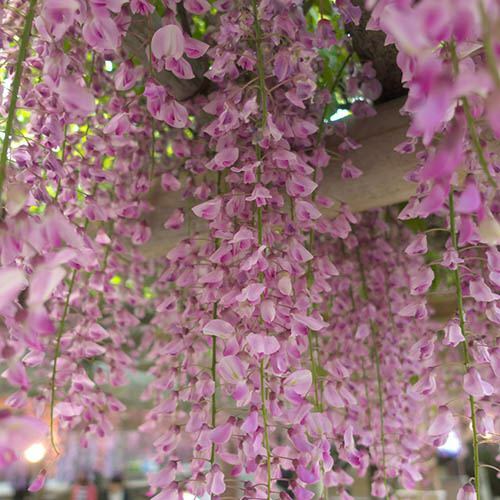 Also known as Wisteria floribunda 'Hon-beni' and also 'Honey Bee Pink', this wisteria is a beautiful sight and a cottage garden classic. Although best recognised for its racemes of pea-like flowers, its season of interest continues into autumn when the attractive, lobed foliage turns to a buttery yellow. 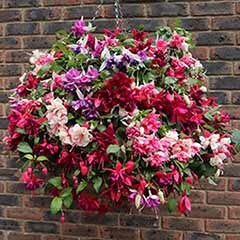 A gorgeous climber which has been given the RHS Award of Garden merit, you can be sure that your new plant will flower in your garden as it is grafted and therefore proven to bloom. Despite the hype to the contrary, wisteria are actually really easy to grow and will reward you with many years of pleasure in your garden. 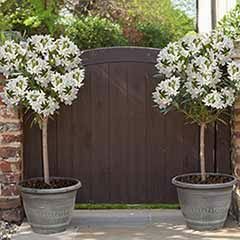 Ideal for covering a wall or pergola, they can also be grown up and through an existing tree for a stunning torrent of flowers in your garden. 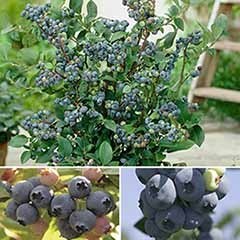 Supplied as a grafted 60-70cm plant in a 2L pot, ready to plant all year round. 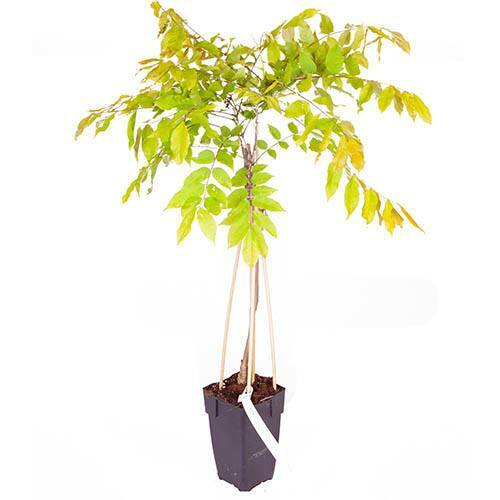 Supplied as a grafted plant, 60-70 tall, in a 2L pot with canes. 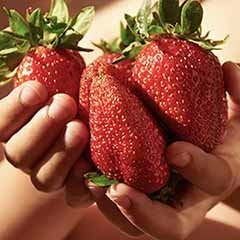 Avoid high-nitrogen fertilizer. 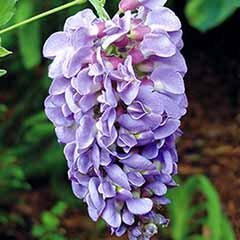 Like other members of the pea family, wisteria fixes nitrogen in the soil, so too much nitrogen causes excessive leaf growth and poor flowering. Although capable of growing up to 8m (26ft), wisteria are easily restricted by pruning and can even be trained as a small standard tree. As wisteria are long lived, site is important, so pick somewhere that your plant will be happy. 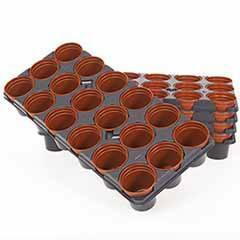 Plants like moist but well-drained, humus-rich soil in sun or light shade. 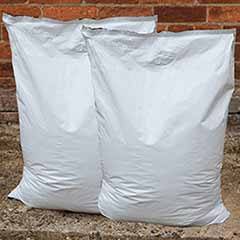 As blossom can be damaged by late frosts, it is advisable to plant in a sheltered spot. If growing on a wall, tie in to horizontal wire supports, then once a permanent framework has been established ongoing pruning is simple - just prune back extension growths from the main branches to 4-6 leaves in late July or early August and then back to 3-4 buds in midwinter. 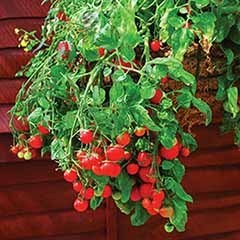 Provide the twining stems with an appropriate and sturdy support, such as strong trellis or wires attached to walls and pergolas. I'm pleased to hear you're happy with your order and our service. Please feel free to update your comments on the wisterias in spring.